The Harare based poet and author, Takunda Chikomo made his first contribution to poetry with Curtains: an anthology of poems, published by TafaPrint Publishers Zimbabwe, 2018. Takunda recently finished his advanced level studies at Seke 5 High School in Chitungwiza where he was pursuing humanities related subjects. Reading through Curtains, memories of high school days are ignited with teenage experiences well recorded from the poet's experiences. Love stories from a teenage gaze dominate the poems in Curtains whilst dreams, fantasies, hopes and longings for the unknown future form another part of the book. There are over fifty poems in this 94 page book. Re-arranging the poems into themes or sections of related poems seemed not an issue to the author. As such, the titles of the poems are readable and capture essentials raised in the whole book. The first poem titled, Pretense takes one into the life of the author, reflecting on deception among young couples mainly the girl as the victim. The poem could be used as an eye-opener to unsuspecting young ladies who, according to the author, easily fall for people who may end up hurting them. Takunda moves on to the experiences of a workaholic and how this negatively affects the family set up. The Pastor who is also the father of the house in the poem successfully preaches and teaches to his congregation, only to disappoint at home. The busy schedule the Pastor has leads to loneliness and lack of parental guidance at home. At the end, it is an appeal to church leaders in a Christian set up not to forget their families despite their busy schedules which may demand them to be far from home. Single and not searching, captures campus life by young adults. The peer pressure associated with campus life, wanting to do what everyone is doing- being in a relationship. More interesting is how the author, in spite of the temptations to follow others, ends up listening to his heart, to the inner person. The inner person tells the author that he was not ready for any relationship but rather to exploit his energies on other activities. Confirmation of my fears grapples with a young men in love with a young girl whom he waits for expecting to tell her at the right time. Unfortunately, the girl did not wait but eloped and later on got married. All these narratives and others point to high school memories, experiences of heartbreaks, disappointments, denial [Poem to my Crush], fantasies, hopes, pride [Manly Pride], and in some cases dreams that the young teenagers encounter. The July 2018 presidential elections in Zimbabwe witnessed an attempt on His Excellency, president Emmerson D. Mnangagwa's life in Bulawayo, White City stadium. Game of Thrones a popular western movie was used in social media daily discourse from which people were eager to explain the White City bombing. Implicit allusions can be extracted from the lines of the poem. In addition to that, the death of a heroine, Winnie Mandela in South Africa could perhaps have seen the author influenced by Julius Malema's speech, Mama-Give us a signal. Signals; is a poem from which the young author weaves in morality questions, implicitly confronting Christianity versus African traditional religion. Cultural encounters, reflecting on the imperatives of v*rginity and modernity seem to confuse the author in some instances. P*rnography is another vice which the author reflects on as technology and growing up demand wise decisions. In a way to problematize the meanings attached to p*rnography on morality, the author posits a situation where there is what he calls a 'dream code.' This could possibly relate to sweet dreams and teenagers growing up. Mama, is used now and again when dealing with all these aspects that confront the young people. The genius in Takunda Chikomo's writing emanates from his ability to explore his experiences into poetic writing. At the age of eighteen and within 2018, another upcoming book from Takunda titled, These things also happened to me, is already waiting for publication. I do believe the hand of editorial services will immensely improve his upcoming book. Above all, the book is a must read for all parents and young people. In as much church leaders, teachers are explicitly identified in their approach to the young generation, it is undeniable the book appeals to all people. All articles and letters published on Bulawayo24 have been independently written by members of Bulawayo24's community. 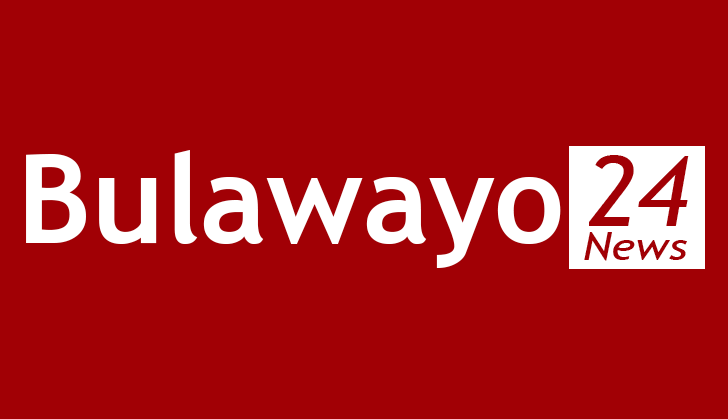 The views of users published on Bulawayo24 are therefore their own and do not necessarily represent the views of Bulawayo24. Bulawayo24 editors also reserve the right to edit or delete any and all comments received.